RSS is a model that formalizes the common sense principles of what it means to drive safely into a set of mathematical formulas that a machine can understand (safe following/merging distances, right of way, and caution around obstructed objects, for example). If the AI-based software proposes an action that would violate one of these common sense principles, the RSS layer rejects the decision. During this initial phase, the fleet is powered only by cameras. In a 360-degree configuration, each vehicle uses 12 cameras, with eight cameras providing long-range surround view and four cameras utilized for parking. 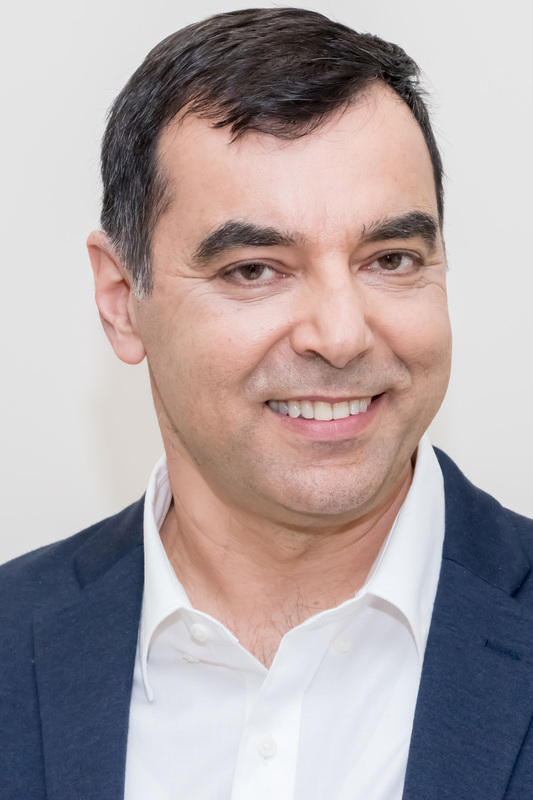 The goal in this phase is to prove that we can create a comprehensive end-to-end solution from processing only the camera data. We characterize an end-to-end AV solution as consisting of a surround view sensing state capable of detecting road users, drivable paths and the semantic meaning of traffic signs/lights; the real-time creation of HD-maps as well as the ability to localize the AV with centimeter-level accuracy; path planning (i.e., driving policy); and vehicle control. The sensing state is depicted in the videos above as a top-view rendering of the environment around the AV while in motion. The camera-only phase is our strategy for achieving what we refer to as “true redundancy” of sensing. True redundancy refers to a sensing system consisting of multiple independently engineered sensing systems, each of which can support fully autonomous driving on its own. This is in contrast to fusing raw sensor data from multiple sources together early in the process, which in practice results in a single sensing system. True redundancy provides two major advantages: The amount of data required to validate the perception system is massively lower (square root of 1 billion hours vs. 1 billion hours) as depicted in the graphic below; in the case of a failure of one of the independent systems, the vehicle can continue operating safely in contrast to a vehicle with a low-level fused system that needs to cease driving immediately. A useful analogy to the fused system is a string of Christmas tree lights where the entire string fails when one bulb burns out. 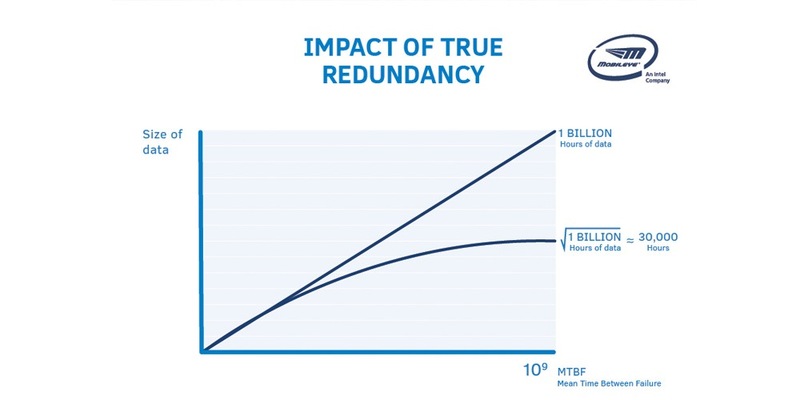 Impact of True Redundancy: This graph compares fused vs. true redundancy sensing systems in terms of the amount of data required to validate a certain failure probability rate called “mean time between failure,” or MTBF. In this case, the “failure” is a sensor issue that would likely result in a fatality. 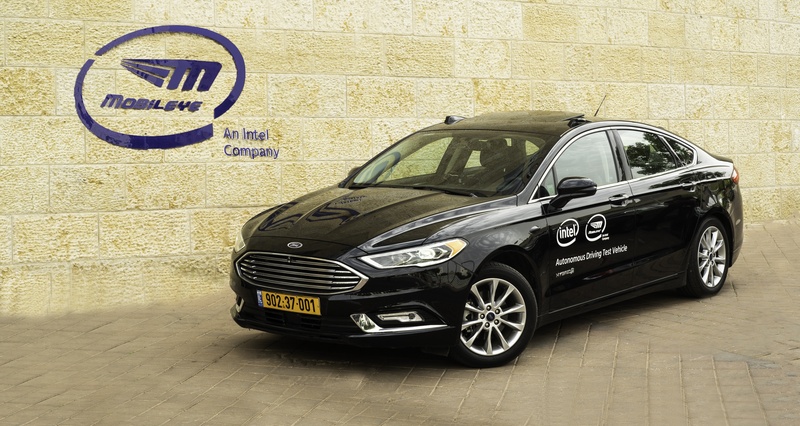 Mobileye is targeting a MTBF of 1 billion hours which is 1,000 times better than human-driving statistics. With only one sensor system, the amount of data required is about 1 billion hours. With a “true redundancy” system, the amount of data required is reduced massively to approximately 30,000 hours (square root of 1 billion hours). Additionally, it is important to note that this data does not need to be collected while driving in AV mode and can be used to test the sensing system in the lab. The radar/lidar layer will be added in the coming weeks as a second phase of our development and then synergies among sensing modalities can be used for increasing the “comfort” of driving.